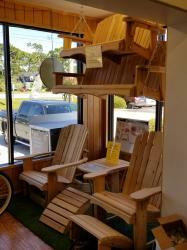 Papa E`s features a collection of handcrafted adirondck and garden furniture made from 5/4 Western Red Cedar representing the very best of American Design. 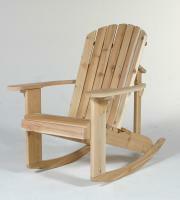 A collection of handcrafted Adirondack and Garden Furniture. 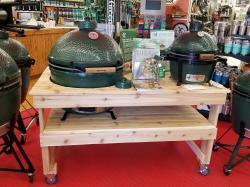 Made from 5/4 Western Red Cedar and all stainless steel hardware representing the very best of American Design. 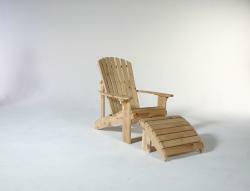 The Adirondack Chair features a sculpted seat, and curved back slats for maximum comfort! Click Image to Enlarge "Rock your heart away" in the Papa E's Rocker; available in a standard, big boy or love seat Adirondack Style.